Muslim dating is a controversial topic, as dating does not traditionally take place before Muslim marriage. The ambition of Muslim relationships is matrimony, which is a spiritual bond between marriage and religion. Therefore, the typical definition of 'dating' does not appeal to traditional Muslims as the social connotations suggest physical and emotional intimacy before a true marital commitment which is not permitted in Islam (Haram). - There is mutual compatibility. - There is a spiritual understanding. - There will be a social blessing and public announcement. - There will be an Islamic marriage. In the modern world, some Muslims are taking relationships into their own hands and finding a matrimonial partner through 'dating'. Dating can uphold core Muslim values, whereby two people learn about one another through mutual respect to see if they are compatible for marriage. 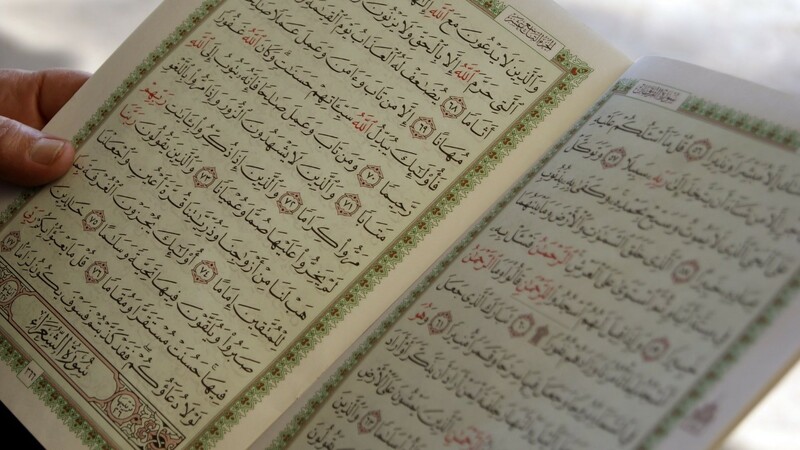 As the intention of Muslim dating is to marry, dating in this sense is permissible by Islam and Sharia Law, providing intimate and emotional connections are saved for matrimony. 1. There is mutual respect and a spiritual basis. 2. Meeting must occur in a public place, not alone. 3. The woman's Wali (guardian) must give permission for the two to meet. 4. Emotional and physical connection is sacred to marriage only. These halal dating rules give single Muslims the opportunity to seek their own life partner with family blessings and ensure compatibility and happiness in marriage. 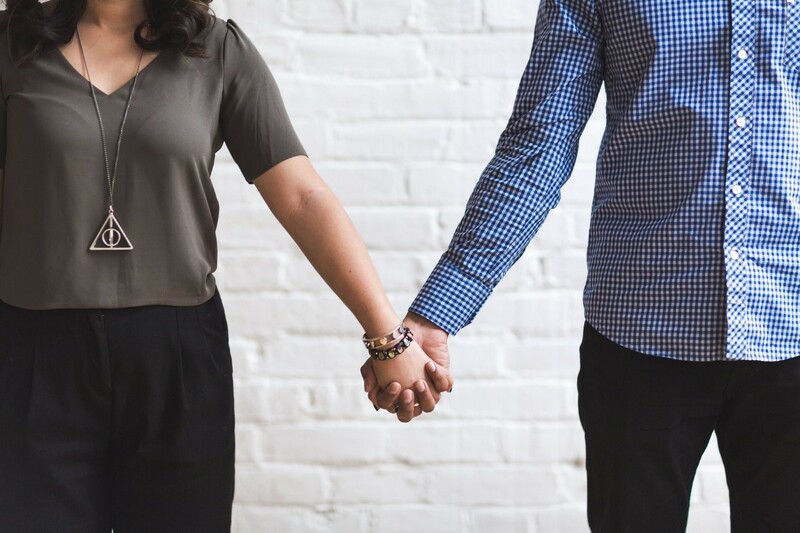 Dating in this sense allows Muslims to explore the suitability of a partner before making a religious commitment, in terms of spirituality and mutual compatibility. When two single Muslims meet, permission from the woman's Wali should be attained first. To follow halal dating rules, the pair should never meet alone as the Quran says that the Shaytaan (satan) tries to tempt alone singles into committing haram and sin outside of marriage. "No man is alone with a woman but the Shaytaan is the third one present." For this reason, meetings should always take place in public places, around family members or with the woman's chaperone who is typically on older male relative. Resisting temptation is made much easier for a couple when meeting in public and allows single Muslims to concentrate on developing a deeper spiritual understanding instead. Muslims use the term ‘dating' to describe the process of learning about one another's suitability for marriage. This means that online Muslim dating is simply an effective solution for finding a matrimonial partner and is not haram in any way if the core Islamic principles are followed. As Muslim singles are becoming more comfortable with the concept of halal dating, the world of online dating has adapted to incorporate a place for religion. Dating sites for single Muslims are becoming a popular choice for the modern Muslim, with instant access to thousands of profiles of likeminded people for free. There are many reasons why a man or woman may choose to find a suitable partner through a dating site, but those reasons remain between themselves and Allah. For whatever reason a person is seeking a matrimonial match, a dating site specially crafted for Muslims is a simple way to discover compatible singles. For single Muslims, the circle of potential matches can be quite slim, limited to family friends, the mosque and work. This small circle limits choice which can result in mismatched marriages that aren't 100% spiritually and emotionally fulfilling. Dating sites such as Helahel provide singles with access to similar people with the same intentions, increasing the likelihood of a strong and successful marriage. There is now an abundance of free muslim dating sites, but not all of which are fully committed to upholding the core values and beliefs of Islam. When choosing a Muslim dating site, it is important to do your research in order to find a compatible husband or wife. For example, look for sites which are designed with Muslim marriage in mind, so you know that other single Muslims who sign up are also looking to Halal date and marry. This avoids wasting time on singles who aren't compatible with your own principles of marriage. Helahel, for example, is a free Muslim Dating Site which understands that halal dating is the modern way to find a husband or wife with whom you can share a deep spiritual and emotional connection in matrimony. After finding a suitable partner that complements your own values and spirituality, it is time to commit yourself to that person and Allah. Marriage in Islam helps to continue religion and learning through the creation of a family. As a Zawaj, a married couple will work together to ensure they are the best versions of themselves and save each other from distractions. "There is no foundation that has been built in Islam more loved by Allah than marriage." The groom provides a gift for his soon-to-be wife which is usually agreed beforehand with either the bride or the bride's family. When permission has been obtained from the bride's Wali, the couple traditionally pray in the form of Salatul Istakharah (Salut). This is not a vital part of the marriage contract but is good practice to pray for guidance. The woman is asked if she wishes to marry the selected man. She is traditionally asked three times and needs to consent at least once to proceed. The marriage contract is drawn up and signed with two witnesses and the bride's Wali. This is then amended by the Imam before being signed by the bride and groom. The present witnesses then must also sign the Nikah to attest to their presence at the ceremony, thus validating the contract. The Nikah must be publicly announced which can differ culturally but is traditionally carried out on a stage to ensure limelight on the new bride and groom. This is usually accompanied by a celebratory gathering involving food and drink. To find your life partner, why not try our Muslim dating site? Sign up is free, giving you access to thousands of likeminded Muslim singles at your fingertips. Users on this site believe in the fundamental values of Islam, using Helahel for matrimonial purposes. 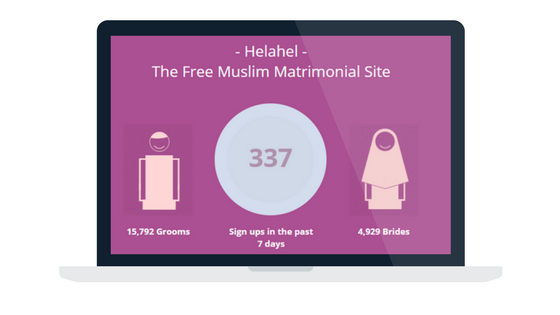 Meet your Muslim matrimonial partner on Helahel today. Registration is just a click away.